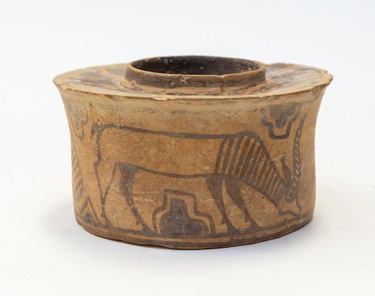 During the Bronze Age, around 4,000 years ago, in what is now Afghanistan, an artisan from the Indus Valley (or Harappan) civilization made a ceramic pot. The four-inch-tall vessel was distinguished by a doe-eyed antelope painted across its flank. We’ll never know who used it, or for what—at least before 2013. That’s when Karl Martin, a valuer at Hansons Auctioneers in Derbyshire, England, purchased the pot at a car boot sale, a kind of English flea market. And why not? He got it and another pot for a total of £4—or, £1 for every thousand years since it had been made. Of course Martin didn’t know at the time that he was buying an authentic artifact from one of the cradles of civilization. All he knew, he said in a Hansons release, was that he “liked it straight away,” so he gave it a place of honor in his household where he would see it every day. It was in the bathroom, where it held his toothbrush and toothpaste. There it sat for years. 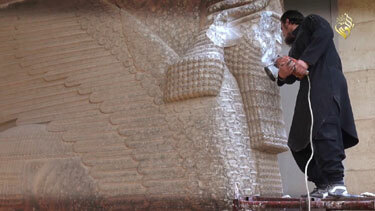 And there it would have stayed, if not for the fact that Martin often encounters antiquities in his line of work. One day, he was helping a Hansons colleague unload some items headed for the block when he spotted some familiar-looking pottery, coated with patterns and animals like those on his toothbrush-holder. He brought his holder to the colleague, James-Seymour Brenchley, Hansons’ Head of Ancient Art, Antiquities & Classical Coins. 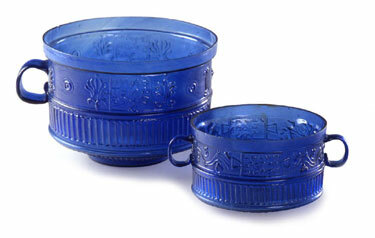 Brenchley was able to link the pot’s painting style to that of other Indus Valley artifacts. He speculates that the pot had arrived in the United Kingdom via British tourists. Martin decided to put it up for auction at Hansons, where it sold this week for £80—“not a fortune,” Martin admits, but still a 1,900 percent profit, not adjusting for inflation. For £80 minus seller’s fee, I’d have kept it for my toothbrush. Period : 4th century B.C. Provenance : Ex-Professor A. Goumaz Collection, Switzerland, 1960’s. 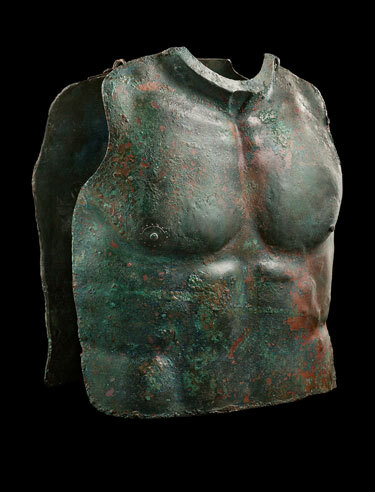 Conditions : Anatomical cuirass featuring two cast bronze plates hammered for better protection against knocks and blows. Repairs on both elements; lateral closure system (hinges, hooks) now lost. Reddish brown colored metal largely covered with a dark green patina and encrustations. 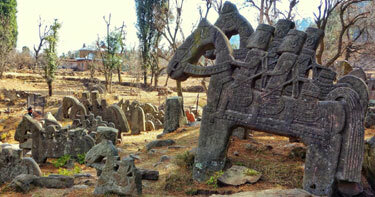 Who Made These Ancient Sculptures of Horsemen Near the Pir Panjal Range? The Pir Panjal is a sub-range of the Great Himalayan mountain system that stretches from Murree in Pakistan to the Rohtang Pass in Himachal Pradesh. Across the Pir Panjal were ancient trade routes connected by passes locally known as Galis. Strewn along these old trade routes through the passes, between the Kashmir Valley and Jammu, you will come across mysterious and spectacular sculptures of soldiers on horseback. Mostly unknown outside the region, these ancient sentinels are only known to trekkers and locals who make their way through here. The Horsemen of the Pir Panjal are found mostly at the foot of the Galis or on the main Gali itself and they usually have a natural water spring and accompanying pond nearby. There is no doubt that these sculptures mark important strategic points on ancient routes that connected various villages in the Pir Panjal. These were probably markers to identify milestones or resting places for weary horses and men. However, little is known about who built them and when. The sculptures are mostly of horsemen along with some other reliefs of what seem to be local Gods and Devtas. This has led to a fair bit of speculation. Locals believe that the horsemen were put here by the Pandavas from the Hindu epic Mahabharata when they visited the place millennia back. Others point to the attire of the horsemen and the unique geometric shapes, as motifs, to say that these horsemen may have Bactrian origins. 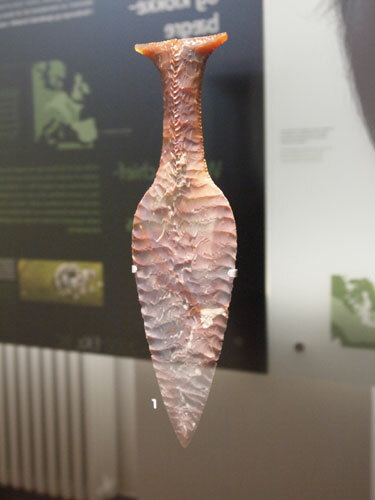 Flint knife known as the Hingsgavldolken blade, circa 2400-1800 BC. On display at the Danish National Museum. 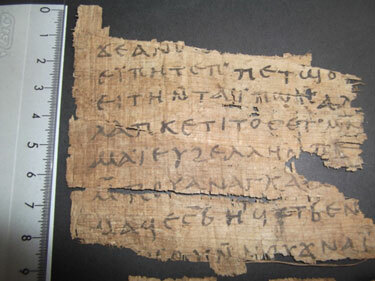 A papyrus fragment containing text from St. Paul’s Letter to the Galatians offered for sale on eBay in 2012. Oh me, oh my! Roberta Mazza proves that you can have a graduate degree and specialized academic expertise and still be a total imbecile with respect to markets, governments, and reality. We academics must help protect the objects we study. Some of my colleagues believe that scholarship comes first, or say that texts have no guilt, so we should be faithful to them. They publish what emerges from the market. I disagree. To publish papyri with suspicious — if not illegal — provenance is unethical. It lends a new identity to those artefacts and feeds the illicit market. So what should we do with all of these suspiciously-sourced fragments? They should be immediately returned to the legitimate owner: Egypt. 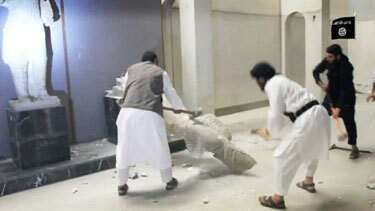 (Egyptian authorities may eventually reach a deal with the collectors for study and publication before repatriation.) Those who study papyri must exercise due diligence before publishing anything, and academics should exercise an active role in educating collectors and keeping an eye on the market. Would you knowingly buy a stolen bike? Why would you buy — or publish — a stolen manuscripts? Ms. Mazza, firstly, suffers from the self-entitlement and inclination-to-control-the-universe syndrome which characteristically afflicts credentialed members of the academical elite. That naturally combines with uncritical left-wing statism, producing a pathological hostility to free markets and the voluntary and organic interactions of ordinary mortal human beings who lack badges, official positions, and doctorates, along with an uncritical bias in favor of the State, even when the State consists of a corrupt Third World kleptocracy and dictatorship. The rational reader learns from Dr. Mazza’s article that this small papyrus fragment was offered for sale on Ebay by a source one might not want to invite home to meet the parents, but in the end a little way down the road, what do you know! was evidently purchased by some capitalistic plutocrat and donated to a museum, where it is obviously being carefully preserved and kept available for study and research. Her problem, of course, is the absence of a good provenance. But Dr. Mazza expects everything her own way, and refuses to reflect on causes and effects and the nature of reality. Why is there no provenance? Obviously a provenance is lacking, because this papyrus fragment could not be bought and sold openly. It had to travel from valueless, totally inaccessible, probably dangerous occult obscurity to its resting place in a prominent collection via the black market. Why the black market? Obviously because greedy, pompous, grasping primitive governments like that of Egypt despotically claim total ownership of all antique, archaeological, and historically valuable material found, discovered, unearthed, or passed along in some chain of private or corporate possession in their territory. Better that artifact lie buried in the ground than that some Egyptian peasant carry on the millenia-old antiquities hunting trade, find it, profit privately, and let the item go to some institutional collection in a civilized Western country. No, no, no, that would be a theft from, and an affront to, the People’s Collectivist State. Obviously, if in a different world, a world in which academicians looked objectively at economic reality, Human Nature, and the legitimacy, ethical qualities, and level of sophistication and culture of different governments and societies, those academics would do the really ethical thing and dismiss out of hand the insolent claims of ephemeral contemporary brigandish regimes to the inherited legacy of mankind generally, and they would insist that private initiative and market forces be permitted to operate freely, recognizing the former as by far the most efficient, effective, and reliable mechanisms, those being actually in accord with individual self interest, for the recovery and preservation of antiquities of every kind. In a free market situation, instead of being covertly offered on Ebay, a valuable papyrus fragment would have been advertised widely with every bit of documentation and provenance possible in order to maximize the object’s value and to bring it to the attention of every possible interested individual and institutional collector. The missing provenance isn’t the fault of market processes. It is the fault of over-reaching, oppressive Statism. A team of archeologists has discovered more than 400 ancient Roman shoes in the Vindolanda fort in Northumberland, England, including some that resemble modern-day shoe styles. The site, located just south of Hadrian’s Wall, was an ancient settlement for Roman soldiers and their families. During the excavation work, which lasted the whole summer, the researchers were uncovering one shoe after another. It was a huge challenge, but every single piece is priceless. According to the researchers, every single shoe is like a time machine, and a window into the everyday life of the person who once wore it. Some of the shoes even resemble today’s fashions. 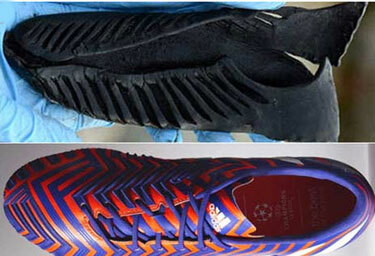 For example, Chronicle Live reports that one shoe that was unearthed is strikingly similar to the Adidas Predator football boot. Although Romans didn’t play football, the shoes offered them similar comfort and flexibility to the famous Predator model. The shoes belonged to the different generations, ranging from tiny baby boots to small children’s shoes, adult female and men boots and bath clogs. The owners of the shoes lived inside the fort at Vindolanda. It was built c. 1,800 years ago by the Roman army. It was small but one of the most heavily defended forts in Britain. It was discovered in 1931 near Via Tiburtina, in the eastern suburbs of Rome. Its front depicts a symbolic picture of a battle which is on two levels. The carving remains to this day an incredible achievement – the dark and light contrast beautifully to produce a veritable chiaroscuro effect. This skill involved was superlative. 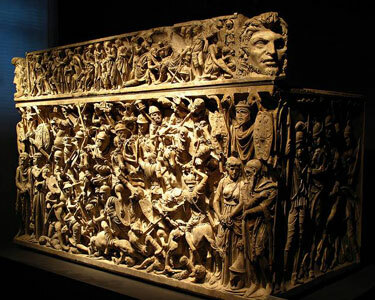 The sarcophagus was probably used in the burial of a Roman general who was closely involved in the campaigns of Marcus Aurelius. He is seen on the front of the sarcophagus, frozen forever in a charge against his enemies. Yet the face of the high ranking officer for which the sarcophagus was intended is left blank. It is thought that it was left blank with the intention of the sculptor creating a death mask of the general in that position. Yet perplexingly it has been left unfinished and we can only guess at the reasons for that. We will never know if some form of shame descended on the general before his death or why it was his family or friends decided that he was to be left nameless and faceless for eternity. The military insignia which can be seen on the upper edge of the casket allows us to try to figure out the identity of the man. It shows the eagle of the Legio IIII Flavia and the boar of the Legio I Italicai. Historians who have studied the casket have pointed towards Aulus Iulius Pompilius. He was an official of Marcus Aurelius who was in control of two squadrons of cavalry which were on detachment to both legions for the duration of the war against the Marcomanni (172-175AD). The Ribchester Helmet is a Roman bronze ceremonial helmet dating to between the late 1st and early 2nd centuries AD, … now on display at the British Museum. 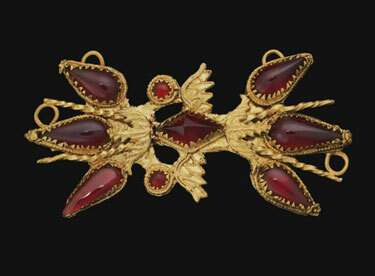 It was found in Ribchester, Lancashire, England in 1796, as part of the Ribchester Hoard. The model of a sphinx that was believed to attach to the helmet was lost. 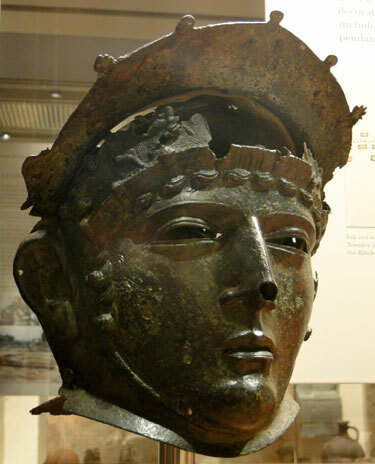 The helmet was discovered, part of the Ribchester Hoard, in the summer of 1796 by the son of Joseph Walton, a clogmaker. The boy found the items buried in a hollow, about three metres below the surface, on some waste land by the side of a road leading to Ribchester church, and near a river bed. The hoard was thought to have been stored in a wooden box and consisted of the corroded remains of a number of items but the largest was this helmet. In addition to the helmet, the hoard included a number of paterae, pieces of a vase, a bust of Minerva, fragments of two basins, several plates, and some other items that the antiquarian collector Charles Townley thought had religious uses. The finds were thought to have survived so well because they were covered in sand. The helmet and other items were bought from Walton by Townley, who lived nearby at Towneley Hall. Townley was a well-known collector of Roman sculpture and antiquities, who had himself and his collection recorded in an oil painting by Johann Zoffany. Townley reported the details of the find in a detailed letter to the secretary of the Society of Antiquaries, intended for publication in the Society’s Proceedings: it was his only publication. The helmet, together with the rest of Townley’s collection, was sold to the British Museum in 1814 by his cousin, Peregrine Edward Towneley, who had inherited the collection on Townley’s death in 1805. In addition to the items purchased by Townley, there was also originally a bronze figurine of a sphinx, but it was lost after Walton gave it to the children of one of his brothers to play with. It was suggested by Thomas Dunham Whitaker, who examined the hoard soon after it had been discovered, that the sphinx would have been attached to the top of the helmet, as it has a curved base fitting the curvature of the helmet, and has traces of solder on it. This theory has become more plausible with the discovery of the Crosby Garrett Helmet in 2010, to which is attached a winged griffin. 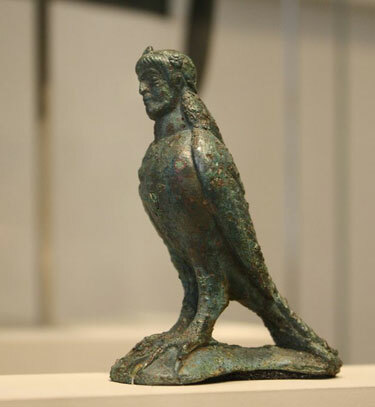 A Greek Late Archaic- maybe Etruscan – Bronze male siren. Who knew that there were male sirens? 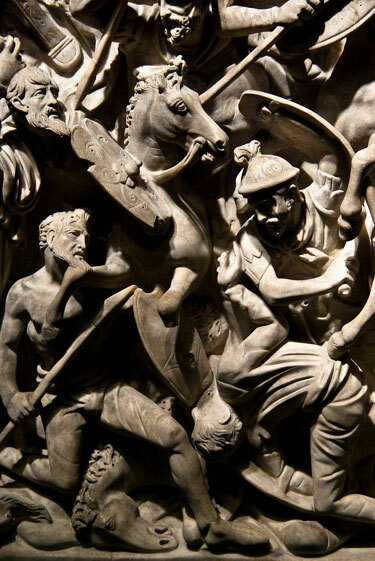 Conflict Antiquities has numerous images, demonstrating one more reason why the civilized world should not tolerate the activities or the existence of this insane regime. From the Metropolitan Museum via Belacqui. the Archives of Never Yet Melted in the 'Antiquities' Category.